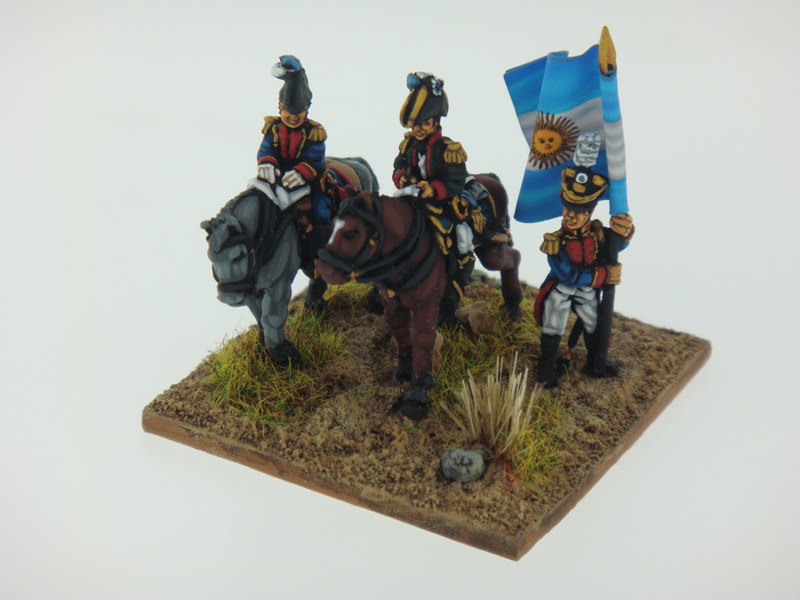 Argentina Infantry (Granaderos) [AI-02] - $7.20 : Grenadier Productions,, Home of Liberators! 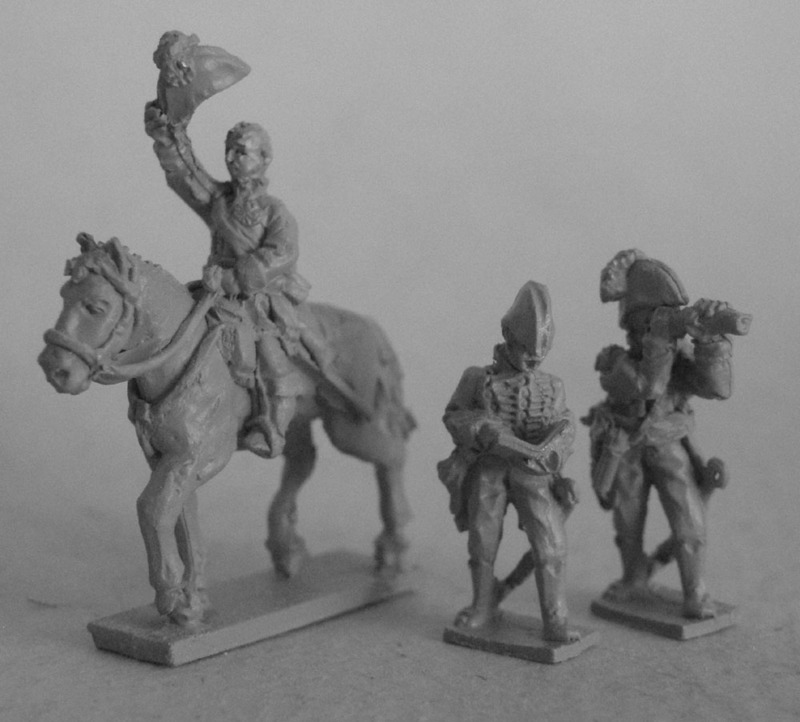 12 figures in 4 poses; Granaderos (grenadiers) in Army of the Andes uniform: jacket with no tails & shako with colpack. Granadero or grenadier companies were composed of the tallest and strongest men of the battalion. 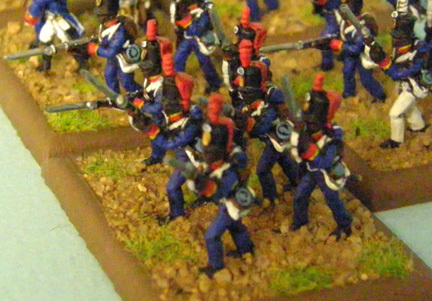 They were an elite shock force whose job was to break an enemy force that had been weakened by the cazadores and fusileros. They were also expected to bolster the morale of the rest of the battalion by their steadfast example. 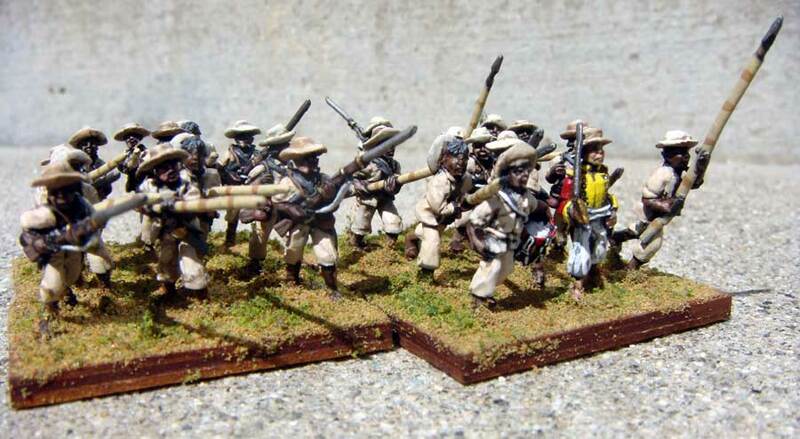 You can distinguish these troops from others on the battlefield by the colpacks, or bags, on their shakos.